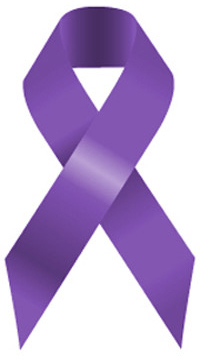 Domestic violence is one of the leading causes of family homelessness. Individuals and their children are often faced with a heart-wrenching choice – remain in a dangerous situation or leave with no safe place to go. Connecting victims and survivors of domestic violence with emergency shelter, transitional housing, and other critical supports is essential to our successful implementation of Opening Doors and to the goal of ending family homelessness. TANF Resources for Prevention and Action - Last year, the Administration for Children & Families (ACF) released guidance to agencies administering TANF programs on the importance of addressing domestic violence and resources for providing support to victims and their families. Transitional Housing Toolkit - Developed by the National Network to End Domestic Violence (NNEDV), the toolkit provides information to help transitional housing providers enhance services for survivors of domestic violence. The toolkit includes FAQs, best practices, tip sheets, funding opportunities and much more. Domestic Violence Housing First Pilot Program Results - This five-year pilot program focused on a survivor-centered, Housing First approach to preventing homelessness. In this blog post, we look at the pillars of the program and detail the study results. PHAs and their Role in Protecting Victims of Domestic Violence - PHAs have the flexibility to implement programs and policies that provide protections to victims of domestic violence beyond those required by the Violence Against Women Reauthorization Act of 2013. Get Social - Join the Twitter Chat, hosted by NNEDV, on October 20 at 3:00 p.m. (EST), on domestic violence and housing. Encourage your partners to bring awareness to this issue and show support to the victims and survivors by taking part in #PurpleThursday on October 22. Diane Kean is the Communications Specialist for USICH, based in Washington, DC.